Where excellence is our standard, not our goal. Welcome to Garner Chorus! We are excited you are visiting our site. 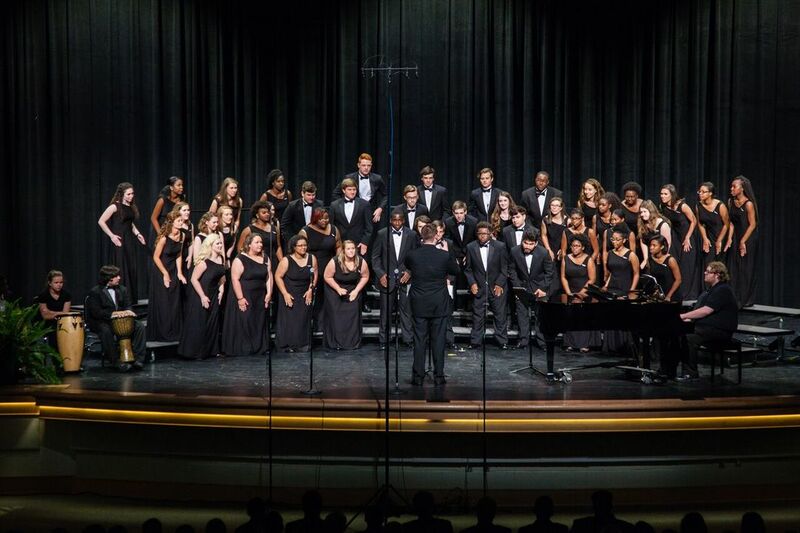 Since 1981, Garner Magnet High School has been creating a standard of excellence in choral music. This department prides itself in providing a safe environment for people to grow together and learn how to be an active member of their ensemble. We give the opportunity for students to take risks and work towards achieving music literacy tasks, build aural skills, and take initiative with individual vocal growth. We are proud to be representatives of the GMHS community. We sing in Garner, the Triangle area, nationally, and soon to be internationally as we plan our Spring Trip to Europe this 2018!